AMIMOTO is completely integrated, pre-configured OS with HHVM & NGINX Reverse Proxy Cache. Included in this virtual app software is ready-to-run version of WordPress. Designed for low-latency content transport across the web, HTTP/2 optimization makes your applications faster and more robust. AMIMOTO is a completely integrated, pre-configured OS and virtual app software which is a fusion of HHVM and NGINX Reverse Proxy Cache. 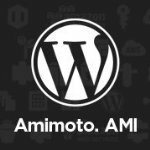 WordPress Powered by AMIMOTO (HTTP/2) Next Generation Preview AMI includes ready-to-run version of WordPress. WordPress is a content management platform that allows users to easily publish, manage, and organize a wide variety of content on a website. As soon as your AMI is launched onto EC2, you may start developing your WordPress. Using 1-click launch function, it's friendly for users. With WP-CLI and git installed, WordPress Powered by AMIMOTO (HTTP/2) Next Generation Preview AMI is also WordPress-developer friendly.With HTTP/2 protocol, speed and efficiency are significantly improved for its low-latency content transport across the web. Completely integrated, pre-configured OS with HHVM and NGINX Reverse Proxy Cache that includes ready-to-run version of WordPress. HTTP/2 binary protocol makes it less prone to errors. Multiplexing allows multiple requests and responses sent at the same time. With only one connection, it allows a client to use one connection per origin. Server push prevents server delays by pushing responses it thinks the client will need to cache.